In the mood for something dark yet melodic? 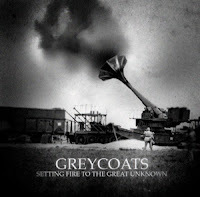 From Minneapolis, meet Greycoats. From their debut album Setting Fire To The Great Unknown, this is Goodbye, Sweet Youth, Goodbye. You could hear a little Sigur Ros and maybe a little Bends-era Radiohead in them.